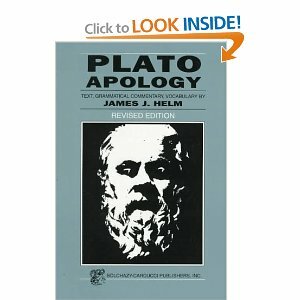 This is a study guide for the book The Apology written by Plato. The Apology is Plato's version of the speech given by Socrates as he unsuccessfully defended himself in 399 BC against the charges of "corrupting the young, and by not believing in the gods in whom the city believes, but in other daimonia that are novel" (24b). "Apology" here has its earlier meaning (now usually expressed by the word "apologia") of speaking in defense of a cause or of one's beliefs or actions. Please click on the literary analysis category you wish to be displayed. Back and Next buttons can guide you through all the sections or you can choose to jump from section to section using the links below or the links at the left.